The Registrar of Voters Office has been busy. During qualifying, July 18 – 20, we saw lots of the candidates who will be running for office in the Nov. 6 election. Although qualifying is handled through the Clerk of Court, many candidates come to our office to make changes and update their voter information prior to qualifying. The last day to register to vote or make changes for the November election is Tuesday, Oct. 9 at 4:30 p.m. (in person and by mail) and Tuesday, Oct. 16 at 11:59 p.m. (online voter registration). Once qualifying was over, we began preparing for the November election. Preparations were made for the 600 plus ballots to be mailed. Residents of Natchitoches Parish who are over 65 or have a handicap are eligible to have their ballots mailed to them for each election. Along with the ballots, they receive instructions on properly filling out their ballot, a pre-addressed envelope to return the ballot and a sealable ballot envelope. Mail ballots were received from the Secretary of State’s Office last week and the appropriate ballot has been mailed to every individual on the mail ballot list for Natchitoches Parish. Mail ballots are also available for students attending college out of parish or out of state, anyone who will be hospitalized or homebound during early voting and on election day, or who are working outside the parish or state during early voting and election day. Anyone wishing to request a mail ballot may do so by completing a Mail Ballot Request Form that can be downloaded at www.sos.la.gov under “Elections.” Click on the “Vote” link; click on “Vote by Mail”; click on “Application to Vote by Mail” or by contacting the Registrar’s Office. The deadline for requesting a mail ballot is Nov. 2 at 4:30 p.m. However, the sooner the request is made, the better. Early voting for all residents of Natchitoches Parish for the November election will be Oct. 23–27 and Oct. 29–30 from 8:30 a.m. to 6:00 p.m. Early voting numbers increase regularly as more and more people opt to vote early for the convenience or because they may be working or out of town on election day. Leading up to early voting, all equipment is serviced, reports are run and election information is prepared to be available to voters. Most fall elections, which include federal races, bring a large turnout for early voting. In addition to permanent staff, the Registrar’s Office will have additional help with the voting process as well as security. 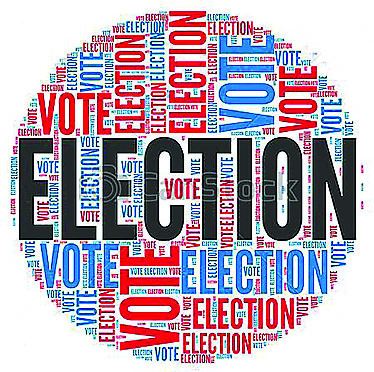 Prior to every election, ballots are approved, equipment is serviced, mail ballots are processed and mailed, poll lists are printed, put in books and sent to the polling locations and various other activities are completed in preparation for early voting and election day. Although no voting is done in our office on election day, our office is open to field questions from voters and commissioners regarding appropriate voting locations, if a voter is actually registered in the parish and numerous other questions people have regarding voting. Many people assume that as soon as an election is over, things slow down but this is not the case. Following an election, reports are prepared and filed with the Secretary of State’s Office, polls books are returned from the polling locations and updated, equipment is picked up for servicing, all changes are made to voting records per any updates made by voters at their polling locations, and all registrations, updates and cancellations that were on hold since the close of books 30 days prior to the election are processed. For additional information call 318-357-2211.